This colorfull bag was a custom job I did for my aunt Lillian who likes to knits. 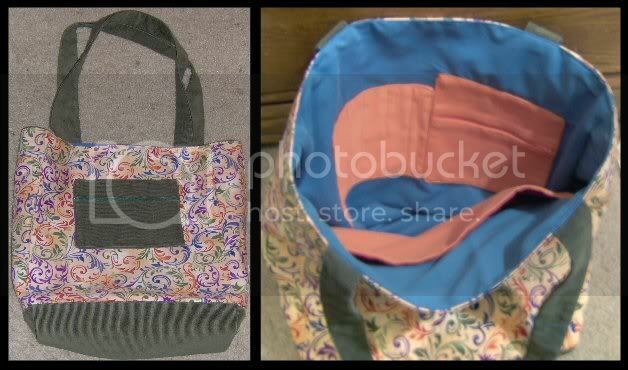 I design all the pockets inside the bag to accommodate her books, long needles, and other small accessories. There is also a small pocket on the front for things she needs faster access to. This is the bag that started it all. This was what inspired me to start WolfChild Designs. 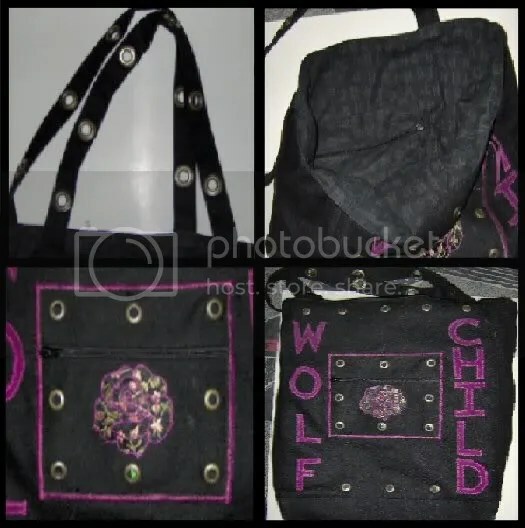 While designing this bag I thought to myself “that would be a good company name, WolfChild Designs, yeah I like that” and the rest is history.